PIERCETON – The Pierceton Police Department is warning people to be cautious and not fall victim to pop-ups on home computers and portable devices, especially pop-ups dealing with expired Microsoft Antivirus Protection. The pop-up will appear on the device, asking the owner to call Microsoft in New York. The owner is instructed to purchase Google Play prepaid cards and give the activation code to the person on the phone in New York, according to a news release from the Pierceton Police Department. After the owner gives the activation code to the person in New York, they are then told that their antivirus will be reactivated. However, this never happens, and the owner is out hundreds of dollars. 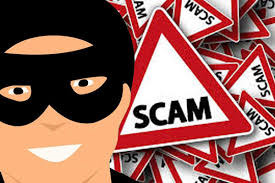 The Pierceton Police Department encourages people to doublecheck their sources before purchasing any prepaid credit cards or sending money orders and MoneyGrams in the mail to people or companies trying to sell a service online. Report potential scams or suspicious activity to a local police agency, the release states.